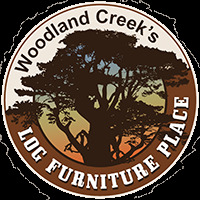 Get the best of Aspen & Barnwood furniture with this unique Woodland Creek’s Exclusive! Just like sweet and salty is a great combination, Aspen & Barnwood come together to form a bond that’s both tasteful and attractive! This rustic decor log furniture living room collection features hand-peeled wood in a gnarly natural finish which is easily dressed up or down depending on your individual taste in cabin decor, country decor or western decor. 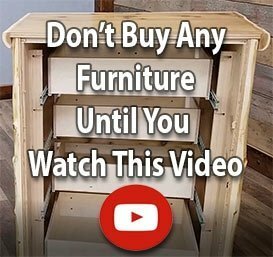 Browse for entertainment center and more. … and you'll get loads of character from our rustic wood furniture handcrafted from dead standing timber. The natural variations in the Aspen & Barnwood line for the living room make easy work of rustic decorating. The natural characteristic of the wood adds enough flair to be centerpiece of your decor! Aspen’s beautiful ivory tones and the barnwood’s warm browns create a distinct rustic feel that you’ll be proud to show off!